After two weeks in the hospital, four-year-old Zion is back home — but he has a lot of healing left to do. “He’s excited to be out of the hospital,” his mother Tiffany McHan told People magazine. Zion was attacked by five dogs—all pit bulls—on Dec. 8 outside his aunt’s house in Liberty, Texas. His father, Trevion, did his best to fight off the animals, but before he could free his son, the boy had sustained serious injuries. 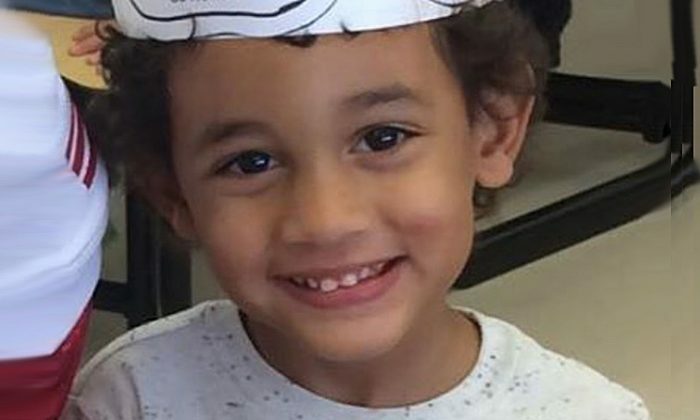 After the attack, little Zion was taken to Texas Children’s Hospital in Houston. Doctors there found he had a fractured skull, damage to his ears, several lacerations on his face and internal damage to the right side of his head, among other injuries. Zion could see that the attack had disfigured him. “Watching [Zion] in the hospital was hard at first,” said Rochele. “When he first saw himself in mirror, he said he was ugly and that he looked weird. In a photo shared on Facebook by his grandmother, Zion stands next to his father as they leave the hospital room. Zion’s face is obviously twisted – the result of nerve damage caused by the dogs. The dogs who attacked him belonged to his aunt on his mother’s side. The dogs had to be put down after the incident. Zion’s parents have created a GoFundMe page to get assistance with his medical expenses. The McHan family has had a tough year. When Hurricane Harvey hit Texas, it destroyed their apartment forcing them to move into a hotel. The family had to flee their home in a small boat. “That’s nothing compared to going through this,” Tiffany told People.